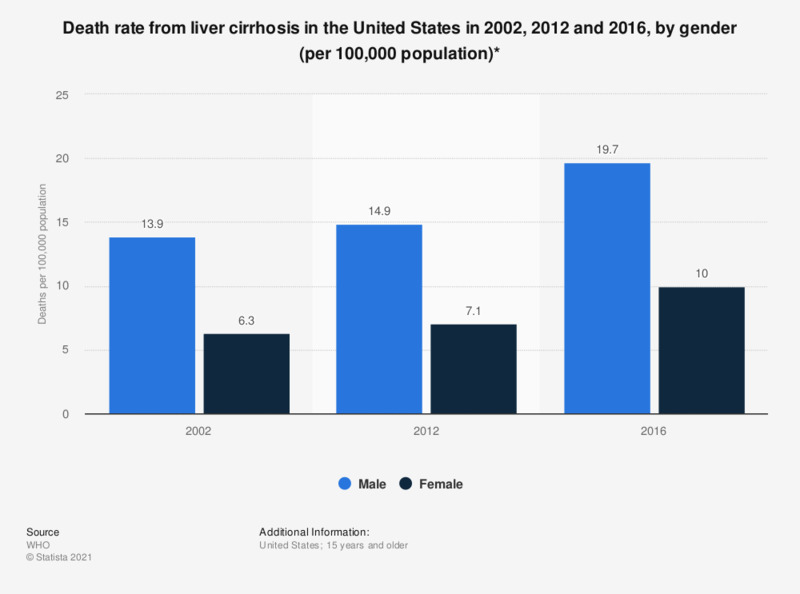 This statistic shows the death rate from liver cirrhosis in the United States in 2002, 2012 and 2016, by gender. In 2016, there were 19.7 male deaths per 100,000 population, aged 15 years and over, resulting from cirrhosis of the liver in the United States. 2002 and 2012 values were quoted from previous editions of WHO alcohol report.